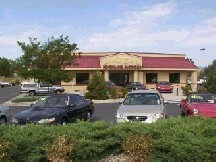 This project was location driven and began with the purchase of a structure at 126 West Mountain in Fort Collins. The original store structure was built in 1893-1894. It had been through a fire and required major structural repair. The interior features classically designed columns and arches with modern fixtures and finishes for a period Italian ambiance. The Highline Motors project was built in essentially two phases. The first phase was comprised of a double modular semi permanent office building and parking lot which was the essence of the Highline Motors operation during its� start up and initial growth period. 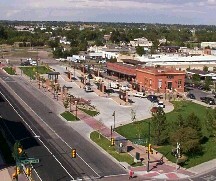 During that period Highline Motors raised capitol and worked with MBI and the City of Fort Collins in order to Design/Build the permanent facility shown in the picture. The facility also contains an attached automobile maintenance area. This 35,000 square foot facility incorporates the total Master Builder concept espoused by MBI (Master Builder International) Corporation. It culminates several years of this pursuit by Mr. Jairam, president and CEO of MBI to bring this idea to the forefront of the City of Fort Collins. This building incorporates state of the art design and construction methods, including fiber optic networks and unique concreting techniques. The financing arrangements were also set up in a unique way by the principals of the development team. The City of Fort Collins envisioned the Colorado and Southern Railroad Station of yesteryear as a new northern terminal for the Transportation System (Transfort) in Fort Collins. The design is in keeping with the historical flavor of the existing structure with updated offices, parking, and shelters. The site of this particular project is of major consequence in that it required extensive demolition, engineering and subgrade work in order to prepare for shelters featuring colored and patterned concrete, masonry pavers, concrete paving and landscaping. Owner: U.S. Army Corps of Engrs. This project for the U.S. Army involved extensive pre-construction utility and grade work to bring the site to a ready position for foundation excavation. As with all Corps of Engineer work the quality control and documentation portions of the project are significant and are in excellent order for the project. The building is unique in that masonry walls were incorporated with a pre-engineered building with a composite roof deck. The interior has high-rise freestanding storage racks and two-story office area. Accommodating higher water flow in the Poudre River was the objective for redesigning the structure of Greyrock Trail Bridge. MBI found resources for modern materials that matched the bridges historic profile. 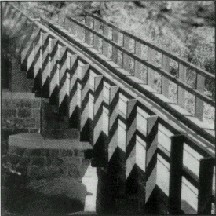 The unique approach MBI implemented used the existing edifice as a scaffolding structure that was disassembled as the new bridge took shape. Old-world labor methods reduced environmental destruction. This project was bid in 1999, and awarded in March of 2000. The project involves 4 athletic fields, support facilities and other structures over a 100-acre site. The start date was delayed due to the governmental approval process. Delays due to underground conditions and addition of changes to the work, changed the overall construction time. In spite of many obstacles, MBI completed the project to the City�s satisfaction. The direction issued by CSU for this project was to provide a historically correct restoration in architecture and finish while changing the original room functions to the new functions selected by the owner. We were given photographs in black and white of the original interior and exterior and thus we were able to provide the owner with a highly representative product as compared with the original. 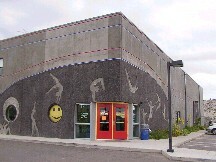 The Owners of this 14,000 square foot fitness, gymnastics, climbing wall and dance center for children were referred to MBI because of MBI�s philosophy and dedication to Design/Build. MBI assisted the Owners with site selection from several alternatives, helped find the financing needed, and produced a �first of its kind� architectural Precast tilt-up concrete wall system incorporating artwork in the concrete. The Owners started with a very limited budget and expressed their desire to stay within this budget. 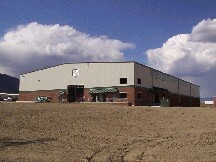 The objective was to produce a facility that did not look like a warehouse. This facility covered over 9 acres and included a state of the art football field, running track, track and field events, lockers, showers, offices, concessions, announcers booths, TV and audio facilities, and seating areas for up to 5000 fans. The project had a very tight schedule to meet the first game of the season for the community. 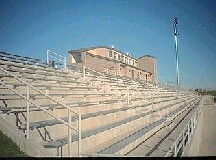 Our challenges were to have the football field and running track in prime condition before the first event. This was accomplished in spite of inclement weather early in the construction schedule, overloaded subcontractors, re-work of existing conditions and no utilities on site. Potable and non-potable water, gas and sanitary sewer were brought from offsite and installed to two separate two-story masonry concession/equipment buildings. 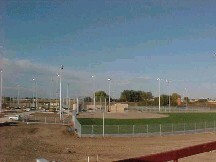 The football field is sand based with a state of the art drainage system. The running track is asphalt based with a resilient surface.